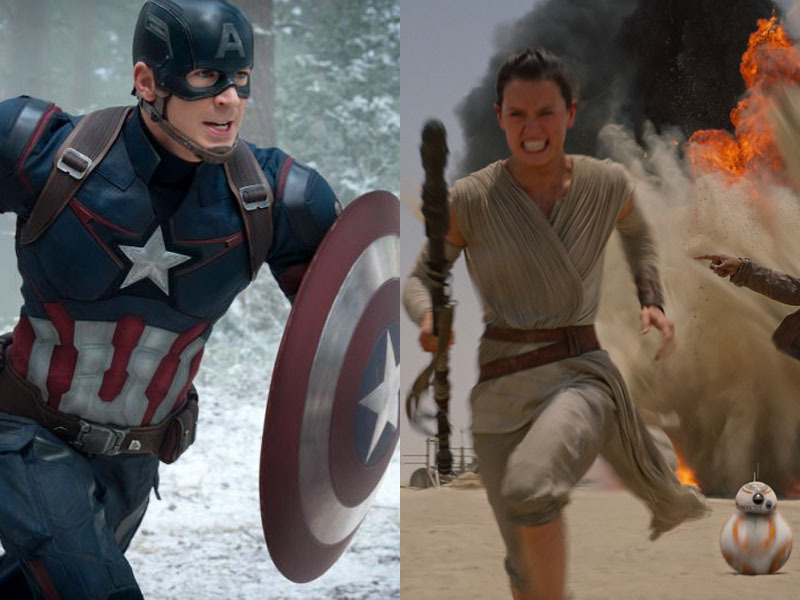 Could a “Star Wars” and “Avengers” crossover happen? Maybe. What if Han Solo and Iron Man competed over the ladies? What if Princess Leia and Black Widow were BFFs? Stan Lee, the man behind Marvel’s most famous superheroes, can totally imagine a world — and a movie — where Star Wars and Marvel characters co-exist. A Star Wars / Marvel crossover would be pretty insane. Can you imagine those two completely different universes colliding? It sounds crazy, but the idea isn’t totally out of the blue. After all, that’s how the Avengers were created. Lee plucked Iron Man, Captain America, the Hulk, Thor, Black Widow, Clint Barton and Loki and made them into a kickass team. Disney owns the Star Wars franchise and the rights to most Marvel characters, so legally speaking, pretty much anything is fair game. The upcoming Captain America: Civil War will feature Spider-Man, a character whose film rights were previously tied to Sony. If it’s legal, it’s not off the table. Fans might be outraged at the idea of another franchise crossover. But at the end of the day, the crossover movies are a tactic Hollywood uses to make money. And they keep happening, because they work. He also said he won’t be surprised to see an X-Men / Guardians of the Galaxy crossover too. Because in superhero blockbuster movies, anything you can dream, you can do. Nothing is set in stone, but it seems like Lee keeps an open mind about blending his characters and universes.